You can model the structure or abstract syntax of a language or of data using a Meta Object Facility (MOF) diagram. 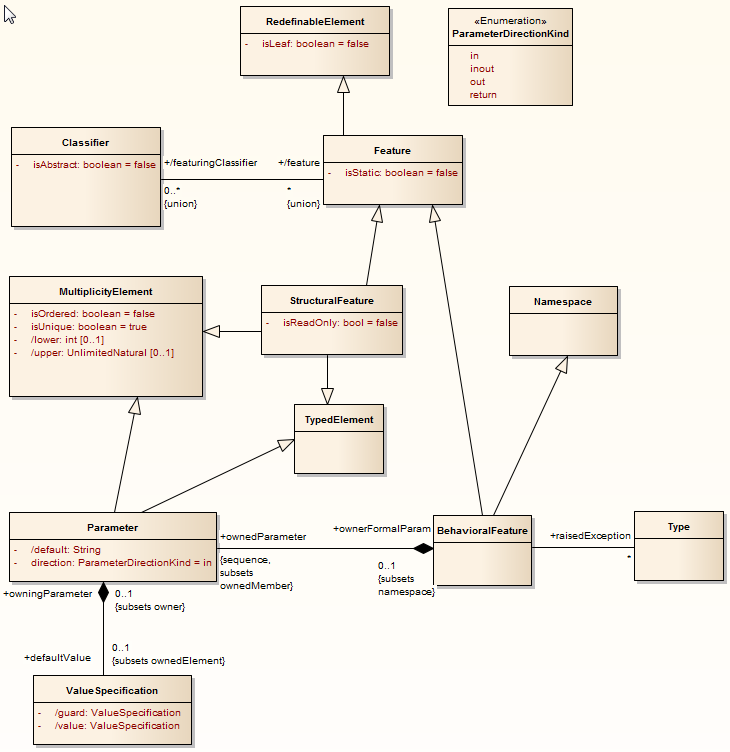 This is a Class diagram that is contained in a Package to which you assign a «metamodel» stereotype. Create or select the appropriate root Model Package and View for the MOF Package. Create a Package to contain your MOF elements. As part of this process, create a child Class diagram for this Package. In the Project Browser, double-click on the Package name to display the 'Properties' dialog. In the 'Stereotype' field type the value 'metamodel'. Open the child Class diagram and begin to construct your model. A MOF diagram typically contains Class, Enumeration and Primitive elements (the Primitive elements from the Class Toolbox pages), and Generalization, Association, Compose and Aggregate relationships.